Tops, boleros, two-piece vests, all in high-quality cashmere. 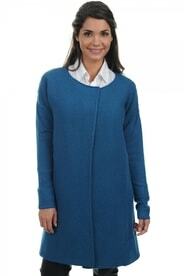 Cashmere clothing keeps up with fashion by adapting to the newest and hottest trends. You can choose one of the boleros or tops, or you can also go for a two-piece vest. They're attractive, modern, and comfortable - a combination only offered by cashmere, the most expensive natural fabric in the world.